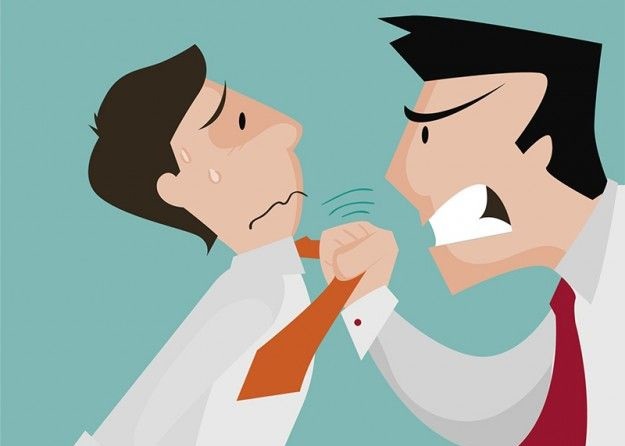 How To Deal With A Bad Boss? The perfect working environment with relaxed atmosphere and understanding supervisors is the dream of almost every applicant who ever filed for a job. However, nagging at the corners of every employee's brain is the fear we are all too familiar with, the Boss. Admittedly, you can be one of the lucky chums who could find this situation unlikely, but the majority of employers belong to a pool where the working hours are a stress and 'boss-zillas' run rampant around the office. Is there nothing that you can do about them? How do you handle this dynamite of a boss? It may be difficult, but nevertheless, we have come with some tips and tricks to make your survival around these less than happy bosses a possibility. Of the many prototypes of trying bosses, the most common one people have to tolerate is 'the screamer'. You will always find him screaming at one thing or the other. His temperament seems nonexistent and his ways are radical. What do you do with him? You can't just stand and hear him bursting at you every few hours. No, instead you need to make it evident to him that tolerating his behavior is not part of your job. Make little attempts here and there. Every time such a thing happens, make him realize his doings by actions and if needed, by directly addressing him. Such people, if talked to in a proper methodical way, are likely to get your points, and if not will at least be wary of raising their voice at you, at the very least. Another common prototype in the market is the boss who demands unreal deadlines and productivity. These bosses can be a real strain on your head as what they want you to do is all work and no break. Every time you barely manage to finish one assignment, there is always a stack of new ones ready on his table. These bosses can really exhaust your energy, so, what is the best way to last a couple of years with them? The few ways that we have come up with to tackle them is to try and finish his assignments beforehand to enjoy a relative period of leisure at the end. Choose deadlines that are achievable for you and if not, negotiate the timeline at the very start. Trust us, Asking for more time at the beginning is much better than failing to complete the work in the allocated period. Last but not the least, come the office Nazis. These bosses have taken it upon themselves to have everything that is the best of the best. Your assignments need to be flawless and every word and phrase down to the last full stop need to be properly placed. Such bosses are the most difficult to handle as there is a very small chance that you will be able to escape their wrath. The best way to go around them is to have your work as error free as you can possibly make it. Go and ask about the office about the trends and manners of your boss to include any formats that he is popular for, beforehand. Keep a record of what the boss wants from different employees and try to build on their lessons. This can give you a head start and help you set your footing in the right place. Yes, it is a hectic routine if your workplace is infiltrated by any of these kinds of supervising officers. However, the trick is to figure out what works for them and devise a plan to go about their ways, so as to hit their triggers the least often. No one says the task is easy, but for you to survive in such a workplace, implementing these basic tricks is a necessity. The tips suggested above are all authentic and tried in person, so if you ever have one of those horrible bosses to deal with, set out with a plan and conquer your workplace nemesis, once and for all! An OWCareers is World's most advanced job portal that publishes thousands of jobs every day from different functions, countries and seniority levels. It is World's first career portal that introduced Auto Job Application Service - by opting this service, your profile is applied automatically to jobs according to your preferences. Another innovative feature is Virtual Recruiter (VR) which is helping employers find the best matching candidates.